A new farm safety website, "Telling the Story," features firsthand accounts by farmers who have been injured or who have lost family members to agriculture-related incidents. The website debuts just in time for National Farm Safety Week, Sept. 22-26. Some of the stories are painful, but those sharing their farm experiences through the "Telling the Story Project" firmly believe in the website's tagline -- tell a story, save a life. Article topics featured on the site include ATVs, equipment upgrades, falls, farming with injuries, fire, foaming manure and ladder safety. 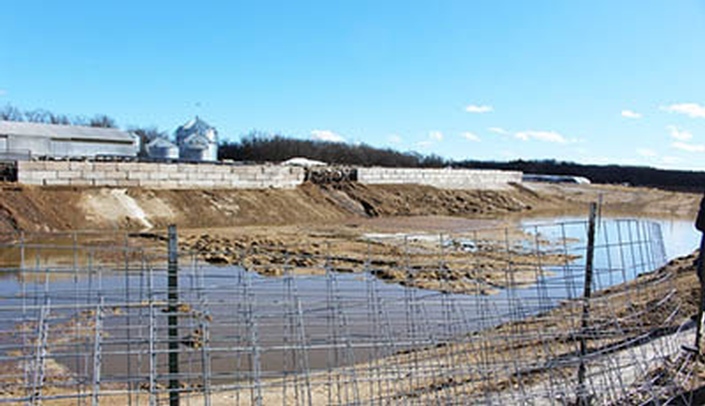 "Research indicates that farmers are more open to safety messages after reading about a traumatic farm incident," said Ellen Duysen, coordinator and outreach specialist for the Central States Center for Agricultural Safety and Health (CS-CASH) at the UNMC College of Public Health. "Farmers generally consider other farmers and agricultural publications to be trusted sources of information." "Workers, family and community members have all shared stories through the site," Duysen said. "The stories are told in their own words. Their experiences help teach us what went wrong and how to avoid similar incidents. They tell their story because we don't want this to happen to anyone else." Duysen, who raised hogs, cattle and three "rascally boys" on farms in Colorado and Iowa, is one of five team members involved in the site. Her personal farming experience provided understanding of the many farming and ranching hazards. While conducting educational outreach with ag communities, Duysen heard many stories of work-related injuries and fatalities. She believes stories told by those who had the experiences raises awareness and stimulates conversations about how to prevent similar incidents. Fellow team members, Stephanie Leonard, Scott Heiberger, Melissa Ploeckelman, and Aaron Yoder, Ph.D., also work in the agricultural safety and health industry. The site also includes links to major ag safety resources such as the National Ag Safety Database, the U.S. Agricultural Health and Safety Centers YouTube channel, Farm & Ranch eXtension in Safety and Health (FReSH) Community of Practice (CoP) and Ireland's Health and Safety Authority (HAS) Survivor Stories. "We encourage site visitors to share links to our stories," Duysen said. "They may be republished without further permission as long as they're published as written. We simply ask that the work be credited to the author, photographer, videographer and/or graphic artist along with a note that the story was produced by Tellingthestoryproject.org. "We're creating injury prevention messages that highlight personal stories and firsthand experiences. No one wants to see any of these incidents happen to anyone else."